Machines for specific functions can be strangely beautiful. This creature kicks cut hay into winnowed rows for later rolling up by the farmer. To come across it at rest, out in the open at that time of day was breathtaking. Its color harmonized with the varied greens of the land, and the late light intensified its physical presence, making it feel – for just a moment – like an amusement park ride I wanted to strap myself into and be sent spinning for a wild 5 minutes. 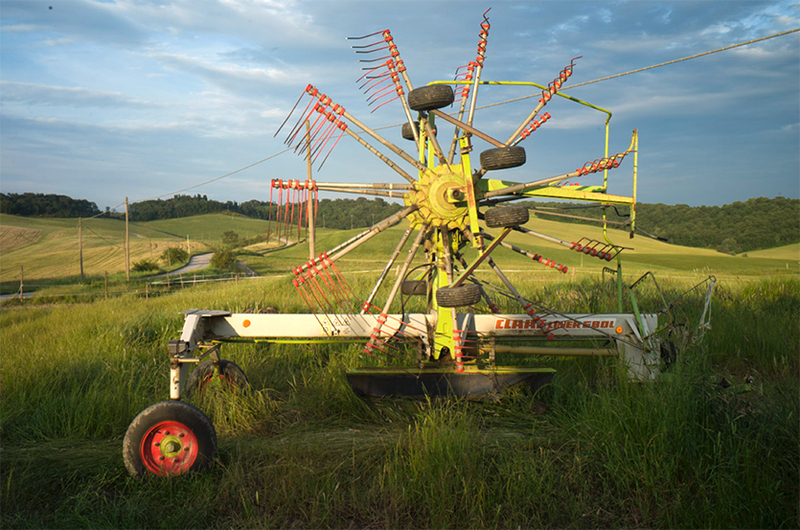 This entry was posted in Evening light, Italy, Machinery, Tuscany and tagged Landscape, Light, Machinery, Tuscany on June 8, 2015 by joelmeyerowitz2014.